The WB journey begins around a dining table. 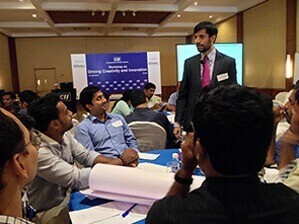 While Ruchira Karnik single-handedly manages business development, operations & finance, Swapnil Kamat as the only WB trainer gains reverence because of his unique style of delivery & his ability to make training real, practical & implementable. 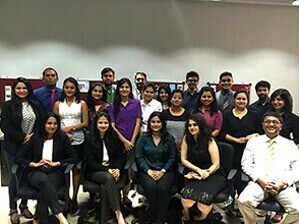 With 3 new additions to the team, Work Better paves its way towards redefining training effectiveness by offering sustained engagement through its 360-degree approach including unique byte-sized pre & post training tools. Work Better’s trainer base touches 75. 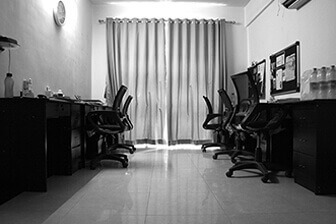 We move from a rented apartment to a spacious office to accommodate the increasing team size. Our client base touches 183. 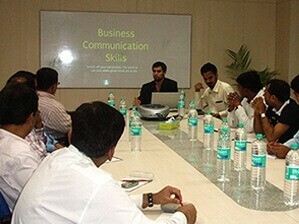 Work Better becomes a long-term training partner for some of the largest organizations in India, and we strongly establish ourselves across various industries. Work Better rated as “Consultants of the Year” in the L&D space by Consultant’s Review magazine. 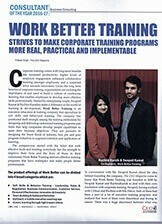 Work Better ends the year on a high note with 37 employees, 4 offices, 254+ trainers, over 235 clients & yet another “L&D Consultants of the Year” award from The CEO Magazine, rapidly moving towards its mission of revolutionizing executive education by training over 1 lakh professionals in the year alone. 2017 saw a completely revamped Work Better Training turning a new leaf in its journey. We partnered with edX, the world’s largest MOOC provider, founded by Harvard University & MIT. In addition to our core Soft Skills & Behaviour training vertical, we delved into video-based learning through vLearn – an initiative that helps convert all organizational learning into high impact videos and also revamped our team building & experiential learning vertical, WB Experio.